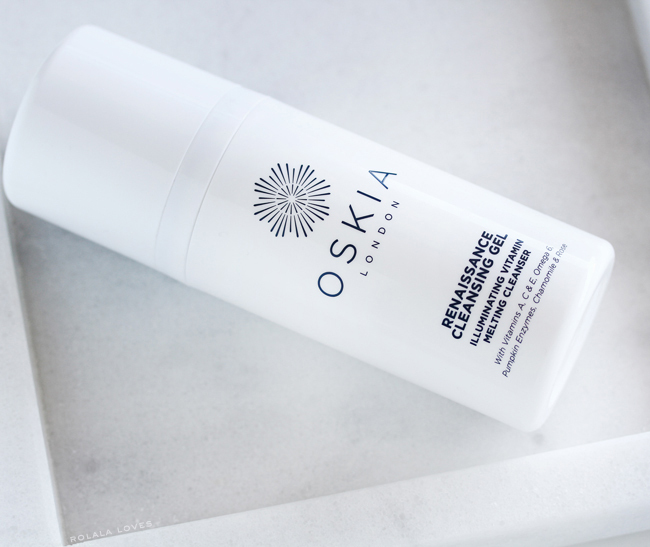 Just ahead of OSKIA's recent US launch at Barneys New York, I had a chance to meet up with Georgie Cleeve, the lovely founder and CEO of OSKIA Skincare over tea to get acquainted with the multi-award winning British beauty brand. OSKIA is a pure nutritional skincare brand with a focus on clinical bioactive ingredients that enhance the skin on a cellular level, aiming to boost collagen production and circulation while decreasing inflammation. Bio-available nutrients have increased efficacy due to their ability to penetrate the deeper levels of the skin where regeneration and cellular change occurs. This translates to better and longer lasting results. 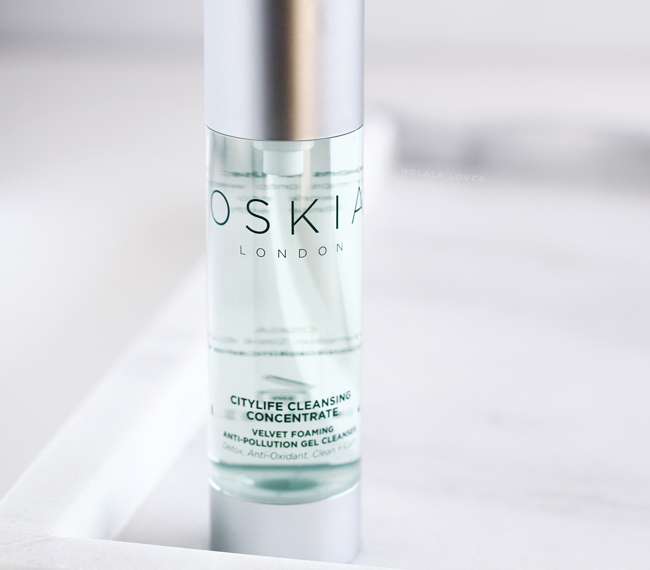 OSKIA employs a range of breakthrough natural bio-active botanical, mineral and marine ingredients including peptides, plant stem cells and prebiotics to nourish and promote skin health. bio-available nutrition from both the inside and the outside is the key." 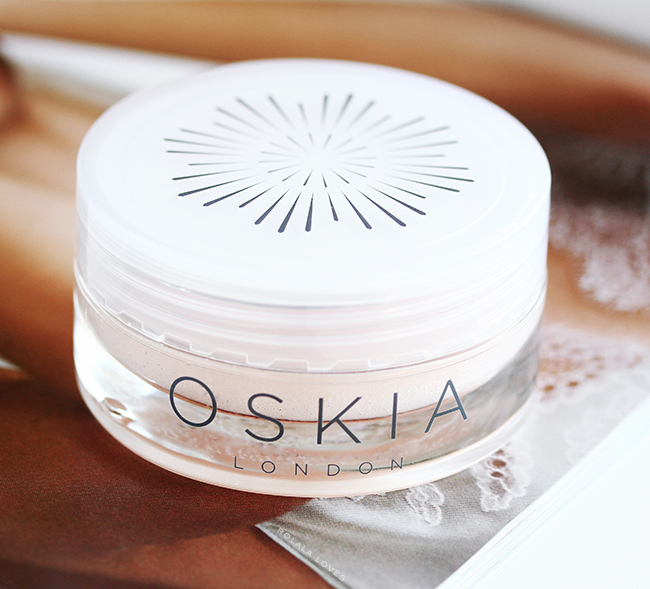 The name OSKIA is derived from the ancient English word for ‘delivering beauty’ and 'nutrition'. MSM is the backbone of the OSKIA story and it's products. OSKIA is the first brand to use it as an anti-aging active. Georgie began taking the joint supplement after suffering extensive cartilage damage to both her knees in a skiing accident as a teenager. Her father who first introduced MSM to the market as a joint supplement for race horses thought it might benefit Georgie's condition. Her joints healed beyond her doctor's expectations which was incredible. She also noticed vast improvements in the general condition of her skin, hair and nails at the same time. MSM has since become a leading supplement for joint mobility and repairing damaged cartilage. With that knowledge and experience, Georgie Cleeve launched OSKIA in 2009 on a foundation of clinical nutritional skincare based on the benefits of MSM. Also known as the 'Beauty Mineral'. MSM is a natural form of organic sulphur that naturally occurs in the human body. MSM can help boost collagen production and promote circulation while helping to decrease inflammation for a brighter and younger looking complexions. The ingredients used in OSKIA’s products are natural and/or organic whenever possible and do not include any harsh chemicals. Georgie personally oversees the development of all of OSKIA’s formulations with an expert team of nutritionists, doctors and cosmetic scientists. All of their products are manufactured in OSKIA's own state of the art factory and lab in Wales using environmentally friendly and ethical processes and packaging. Nutritional facts and benefits are clearly stated on the packaging of each product which is pretty cool and not something you see with any other brand. 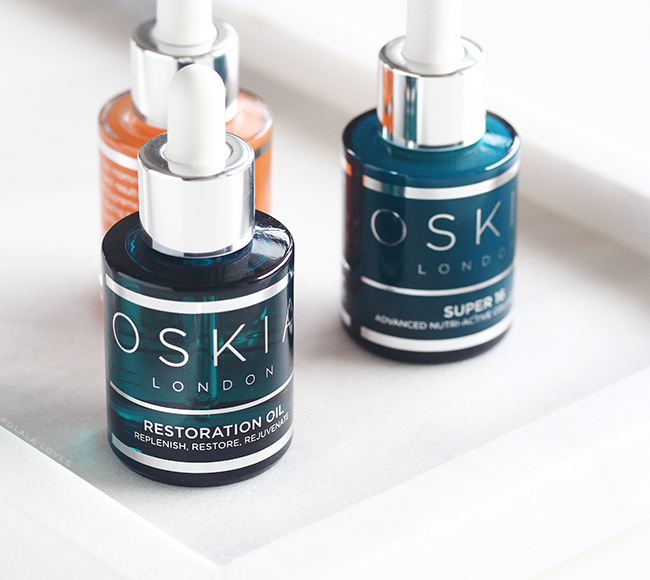 The OSKIA range includes a collection of supplements, cleansers, masks and serums that work together to promote overall skin health and wellbeing as well as treat specific issues. Here are some of the products that were part of the initial Barney's New York launch. 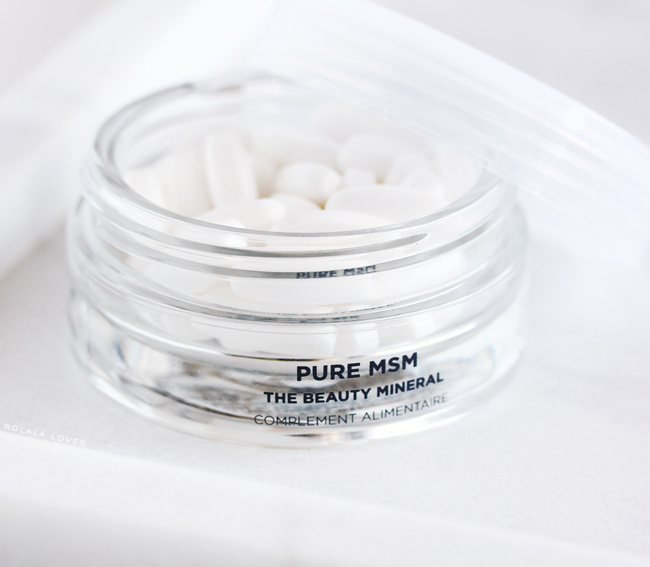 Oskia's Pure MSM Supplements are a a targeted food supplement specifically formulated to feed the skin from the inside. Originally found to repair damaged cartilage, the 'Beauty Mineral' increases the production of collagen, elastin and keratin, which are all necessary for healthy, radiant skin. The most bio-available form of Sulphur, MSM features powerful detoxifying and anti-inflammatory benefits and helps to strengthen and support the skin's structure, preventing premature aging and alleviating the symptoms of conditions such as eczema, acne, rosacea and sunburn. TBH I was more interested in these for the joint health benefits but it's probably not a coincidence that since taking these supplements, I haven't had any breakouts and that eczema patch on my elbow has been kept in check. 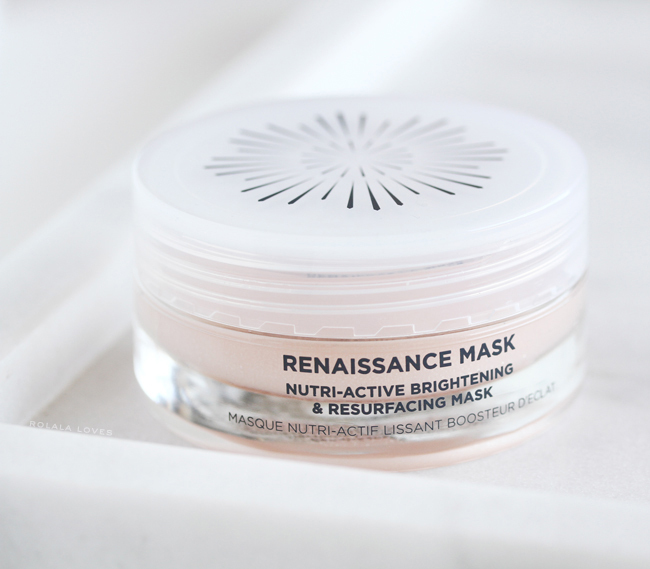 OSKIA's Renaissance Mask is a multi-award winning, luxurious, balm treatment designed to increase cell turnover, boost radiance and gradually reduce the appearance of fine lines and imperfections. Natural fruit acids gently work to remove tired cells and alleviate congestion; lactic ccid stimulates cell regeneration and prebiotics help fight bacteria for a luminous, blemish free complexion. Regular usage encourages cell regeneration for skin that appears smoother, softer & more refined. One of Georgie's personal favorites, this mask is literally like "glow in a jar". It's a pleasure to use and always leaves my face super soft and smooth. I'm in love. Formulated with a potent blend of high-tech natural vitamins and essential skin nutrients, OSKIA's Renaissance Cleansing Gel is a non-foaming gel-to-oil cleanser that melts into skin to quickly and gently remove impurities and makeup. This nourishing formula is perfect for all skin types, delivering vitamins A, C, and E, plus omega 6 fatty acids to reveal balanced, clean, fresh, radiant skin that feels soft and smooth. This cleanser is the prettiest pink color and it makes face washing a luxurious experience if that's possible. I actually look forward to washing my face in the morning with it. OSKIA's Micro Exfoliating Balm is a gentle, skin-refining polish with ultra-fine micro-particles of MSM and silica that buff away tired skin cells and impurities while nourishing the lipid barrier to leave skin soft, radiant, and glowing with health and vitality. The rich formula becomes a soft, light milk and can be adapted to become stronger or weaker by adding water. I just tried this for the first time and I was blown away but how gentle and effective it was. I'm usually a little apprehensive about physical exfoliants but I'm looking forward to using this again. 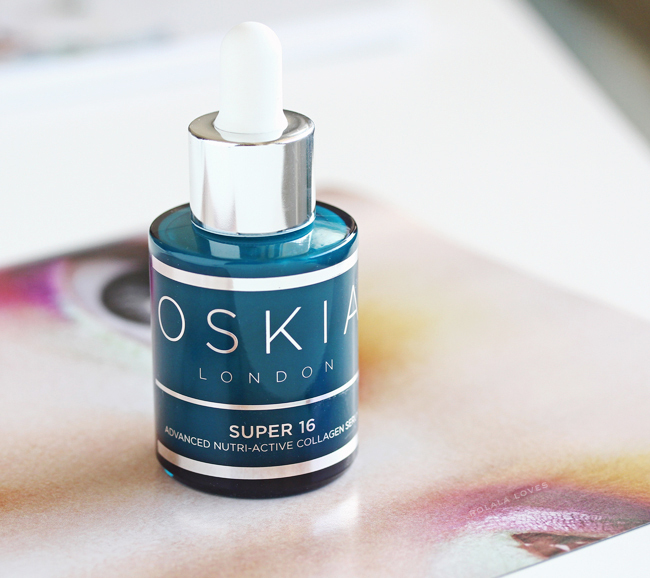 OSKIA's Super 16 Serum is a pro-collagen, anti-aging power house of 16 super nutrients and bio-actives designed to boost collagen synthesis, lift and firm the skin, and reduce fine lines. Formulated with Bakuchiol derived from Indian Babchi seeds, which have been traditionally used for centuries to heal cuts, this advanced formula provides high-level hydration and antioxidant protection. Bakuchiol simulates processes associated with retinol like reversing the signs of aging, preventing future damage, and treating problem skin but without and of the sensitivity associated with it. I haven't used any retinol products in awhile and it is an ingredient that can sometimes irritate my skin so I'm really excited to try this. 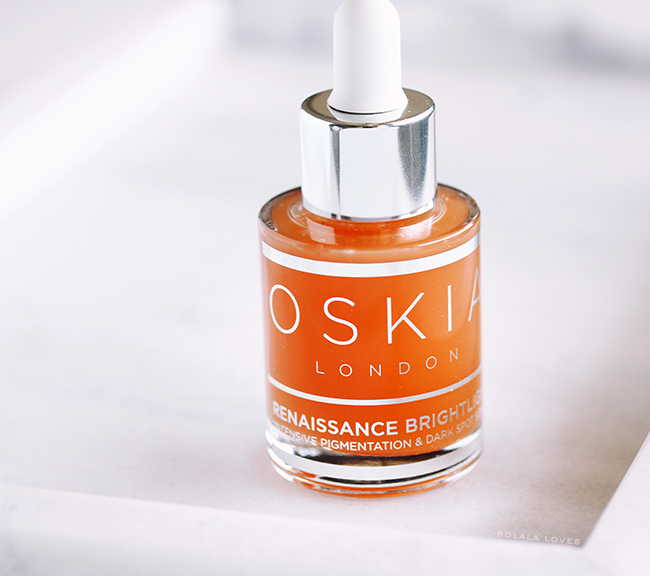 OSKIA's Renaissance Brightlight Serum is an intensive corrective serum designed to combat hyperpigmentation, fade dark spots, and repair sun damage. This formula is infused with a unique encapsulated blend of bio-available actives and nutrients that work deep down to tackle all stages of melanin synthesis to help reverse signs of UV damage, even out skin tone and ensure a visibly brighter, illuminated complexion. I always have a brightening product in my routine. I purchased this during Barney's recent Love Yourself event. I just only just started using it but I'm hopeful since it contains a powerhouse combination of ingredients. 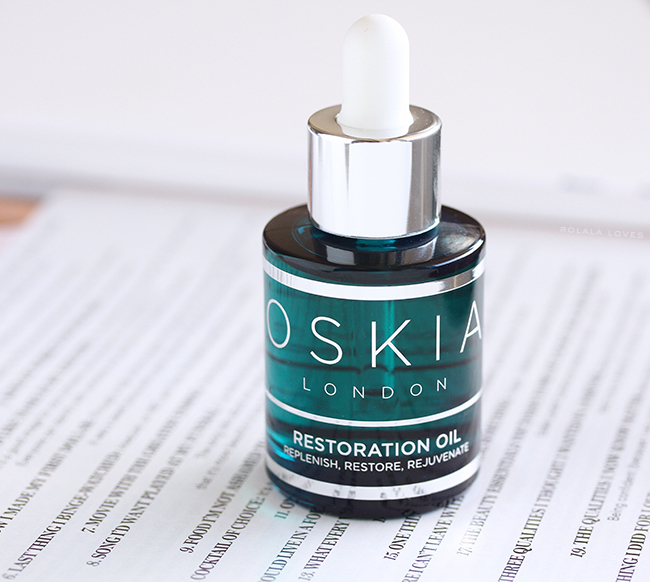 Oskia's Restoration Oil is a delicate blend of nutrients, floral oils & extracts to help restore the skin’s youthful vitality. High-tech natural actives and oils like sea fennel, heart seed vine, turmeric, starflower, rose hip seed, evening primrose work to firm, heal, hydrate, and replenish, improving elasticity and reducing the appearance of fine lines for a healthy, radiant complexion. This product is equally nourishing and effective for dry and normal skin as it is for the breakout-prone. I have not tried this oil yet but it sounds so promising. 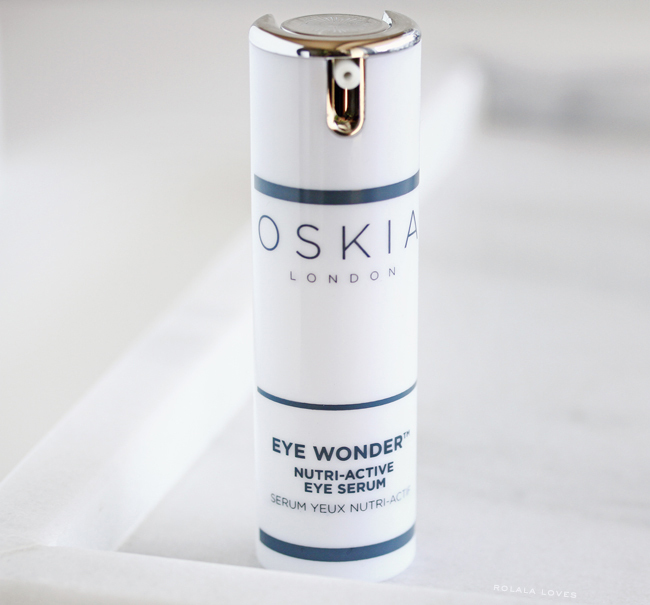 Formulated with OSKIA’s unique dual-approach and signature MSM repair & regenerating complex, Oskia's Eye Wonder is a lightweight, super-active eye serum that can be used in the morning and evening.Plant bioactives like apple stem cells and rose water hydrate the sensitive under-eye area; hyaluronic acid plus vitamins B3 and E reduce puffiness, encourage cellular health, smooth the appearance of lines, even skin tone, and increase clarity and brightness. This serum has a lovely texture that wears every well during the day under concealer. This is a wonderful second cleanser. A little goes a long way to clean my skin leaving it feeling soft and comfortable. Also has a pleasant scent and didn't sting at all when I accidentally got some in my one of my eyes. Getting a personal introduction really gave me a good understanding of what the OSKIA brand is about and I also gained some valuable general insight into skincare from an expert. Georgie's own youthful radiance is a great testament to the brand. Her extensive knowledge is certainly impressive but she is also very much in tune with the current state of beauty and passionate about creating products which fill a need and solve problems. The Citylife range is one I'm really excited about because the impact of environmental effects on the skin from pollution is a real and growing concern. A product coming to the US market soon is the Citylife Booster, an innovative concentrate that took two years to develop which neutralizes the effects of pollutants with ultra-advanced technology . The brand has an exciting product release slated for later this year which I'm really looking forward to. 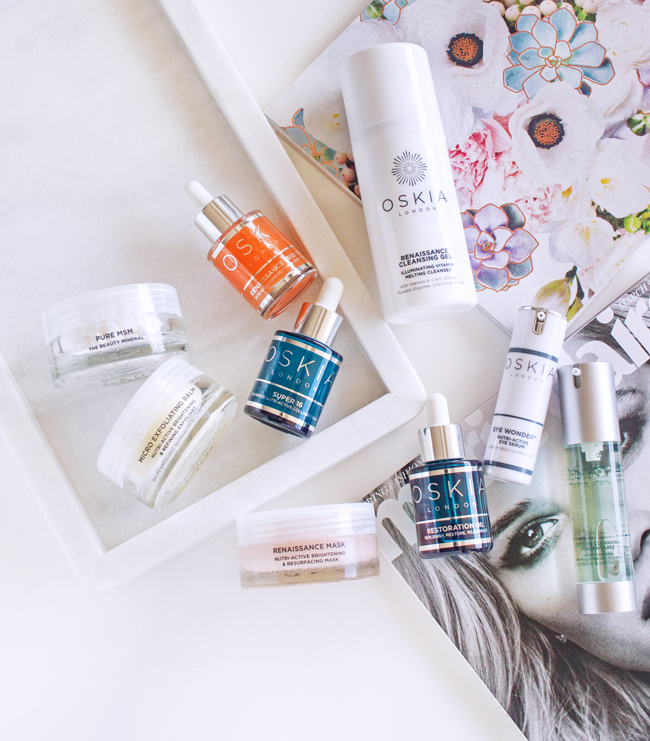 I'm quite particular about the products I use these days and OSKIA is a brand I can support both for their ethos as well as their skin friendly, high performance, clean formulations. I haven't tried all of these yet but I'm already a fan of the ones I have. 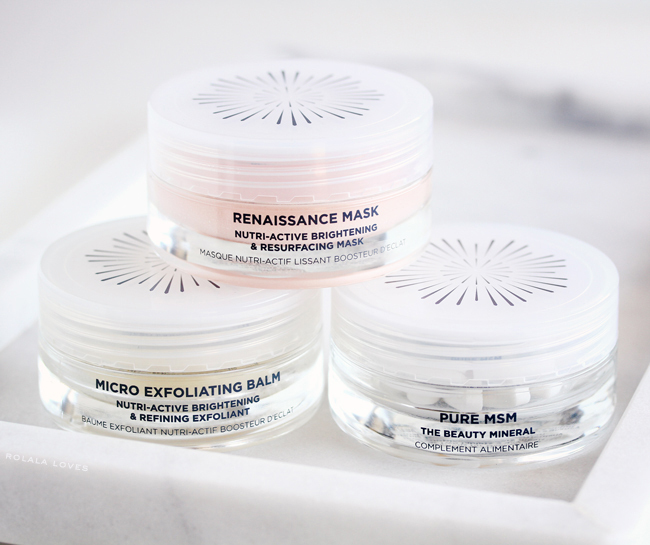 The Renaissance Mask is really transformative and I'm also loving the Renaissance Cleansing Gel and Citylife Cleansing Concentrate because they're really effective and a pleasure to use. I will post reviews as I work my way through. Do let me know if there is any one in particular you'd like to see a review of. OSKIA is now available stateside exclusively at Barneys New York. I don't know if you've ever shopped online with them before but their customer service is amazing. OSKIA products can also be purchased directly from OSKIA's own website, Cult Beauty, Net-A-Porter and LookFantastic. A selection of products are also available through Goop. Disclosure: All products featured in this post were gifted to me for editorial consideration with the exception of the Brightlight Serum which I purchased myself. This post may contain affiliate or referral links. For more details about my product review policy, copyright, and information about affiliate links, please refer to the Policies page of this blog. It's great when you can meet the creators of brands. I really like Oskia and have tried this brand a couple of times in the past, the cleansing gel is nice. I'd love to know how that eye serum is after using for a longer time period. Thanks for sharing, Rowena. Have a lovely new week. Oh I hadn't heard of MSMS but I like the sound of it! It's nice that it's sold online so that I would be able to purchase it! :) I haven't heard of the brand before, but I have heard of and bought from net a porter, haha! Wow they sound amazing especially the eye cream love the packaging in all. Will like to try these products thanks for bringing it up to our attention. I have used the Brighlight Serum and the Eyewonder Serum before and liked both of them. Definitely a brand that I am excited to try more of in the future. This looks like a great brand, I love the packing, it looks very high end! I love how they put their logo on the lids of their packaging. That's clever and makes for some beautiful imagery. Thanks for sharing this brand. Oskia sounds like an amazing beauty brand. They certainly offer a lot of great products. Lately I've been hearing great things about British beauty/skincare products. This selection of Osaka skincare products looks very impressive. I've only tried their Perfect Cleanser which didn't work for me, but they have lots of other options. Will definitely try them again. I always hear great things. 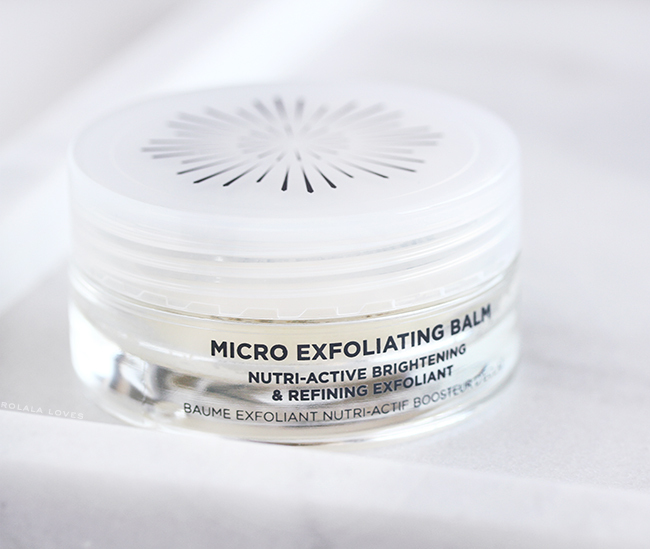 Of course I need all the masks you feature :) The micro exfoliating balm looks like something I could use. I’ve never heard of Beauty mineral. I’ve never met a serum I wouldn’t try and I would love to the OSKIA Super 16 Serum, but I can’t afford it :( That’s a ok a girl can always dream. Ahh I had no idea MSM had skin benefits! I had a lot of older relatives that were taking glucosamine and MSM for a while and I think it may have even helped me with some joint issues. The line sounds wonderful - organic + clean formulations that are effective. I'll definitely be checking them out! That's so cool that you got to meet with the founder of Oskia! I really enjoy the Renaissance cleanser in the mornings as well, it feel so luxurious and always leaves my skin feeling soft afterwards. Now I'm curious about the Cleansing Concentrate, that sounds lovely too! These products sound great,and the packaging looks nice too! That's awesome you met the founder of Oskia! For me all about this brand is new. And is so good that you share so useful and good information darling.